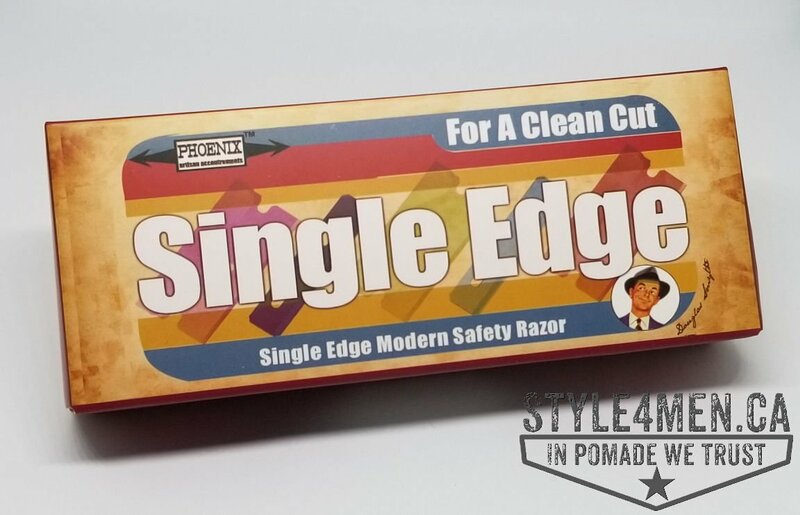 In today’s review we will explore the “single blade” razor from the folks at Phoenix Shaving in Arizona! 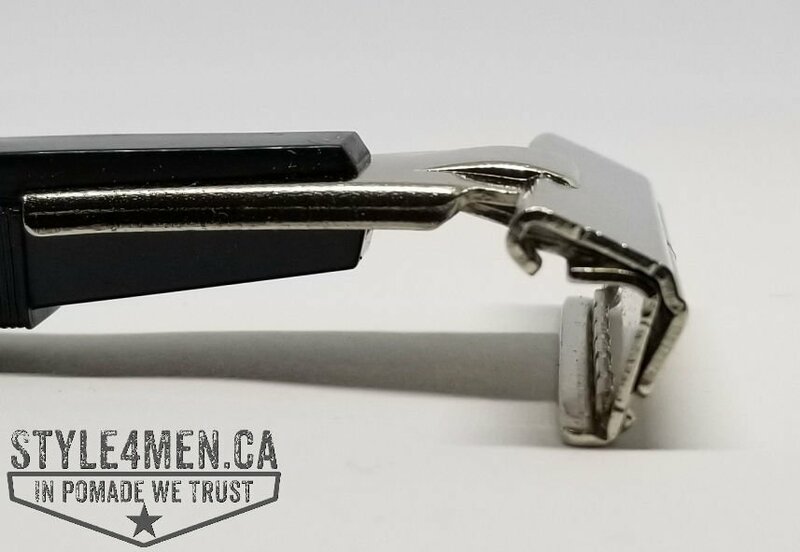 Now for anybody who’s been interested in wet shaving and more specifically, in wet shaving with a double edge razor or even a straight blade razor, you may have heard of these single blade razors. If you missed the unboxing on Instagram, here it is in full. For myself, I initially came across the beautiful Oneblade when I started looking into single blades. This is a very alluring razor but the entry level razor goes for $79 US or just over $100 CND at the moment. Factor in the shipping and duties and things just go downhill from there. The mid line razor is priced at $199 and the top model at $399. Obviously, OneBlade is in the “luxury” market so what choices do you have if you are not a real estate mogul?! I was also looking on eBay for second hand or vintage options. 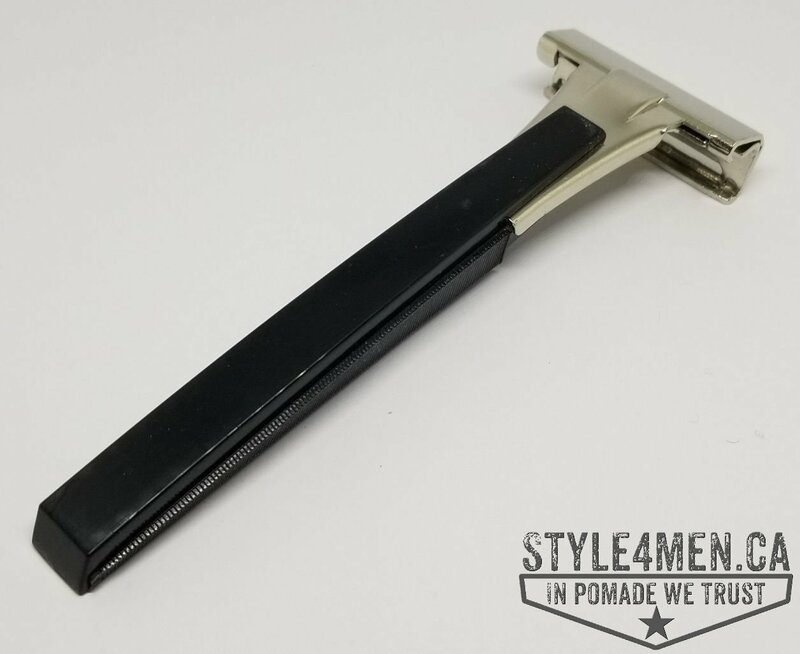 One of the razors that came up multiple times was a razor that Schick manufactured for years, the Injector Type L. Produced from 1965 to 1980. 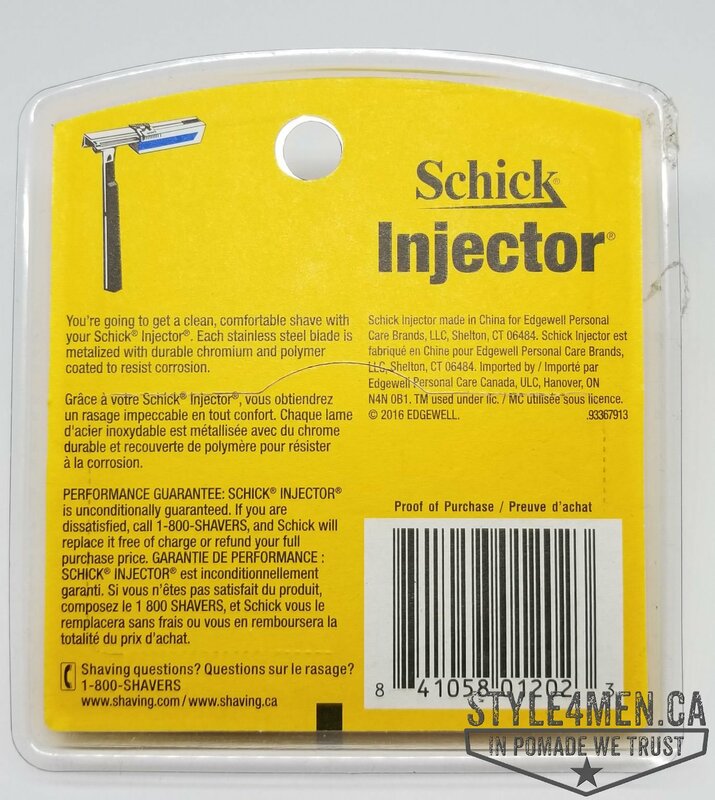 Schick manufactured injector like razors from 1935 to 1998 in North America. Schick also continued to make the Type O for the Japanese market until 2001. Reference But since then, Schick has been out of the business. Well, partly out since they still produce the magazine loading single blades used by these razors. Clearly they know that there is still a following for such razors. The search into the Schick Injector single blade razors led me to the Phoenix Shaving shop. I had already been to their web site a number of times before but never made it past their impressive after shave and soap selection. There, I was presented with a nearly identical replica of the Injector Type L. At $17.95 US + shipping to Canada the whole thing worked out to be $35.10 Canadian. Completely palatable! And I placed my order. About a week later the razor showed up! 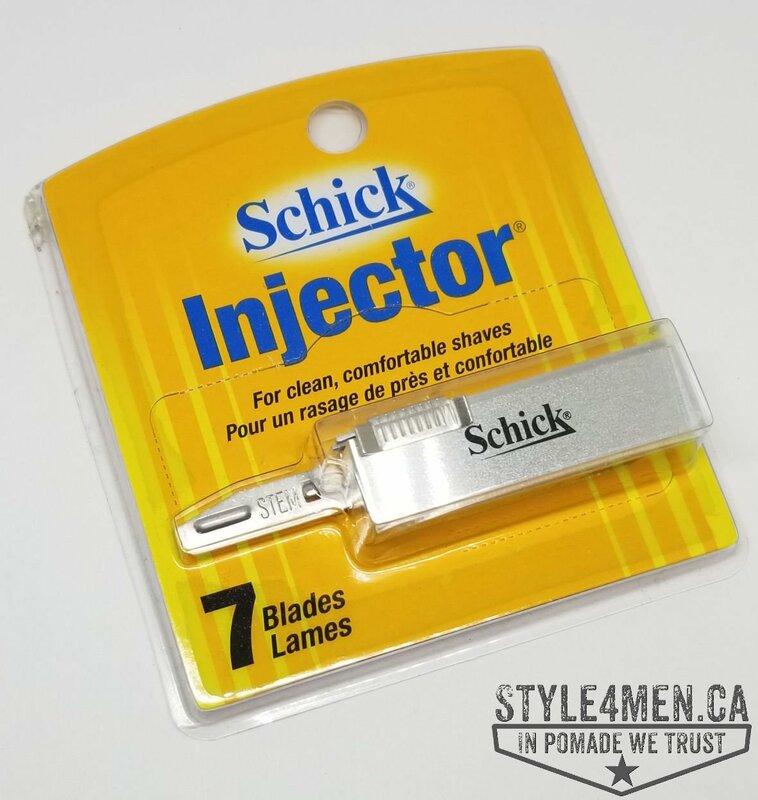 In an effort to make razor safer or at the very least more convenient and modern, Schick had came up with a magazine loading tool to push out the old blade while loading in a new blade. With this loading magazine, your digits are never in contact with the blade. 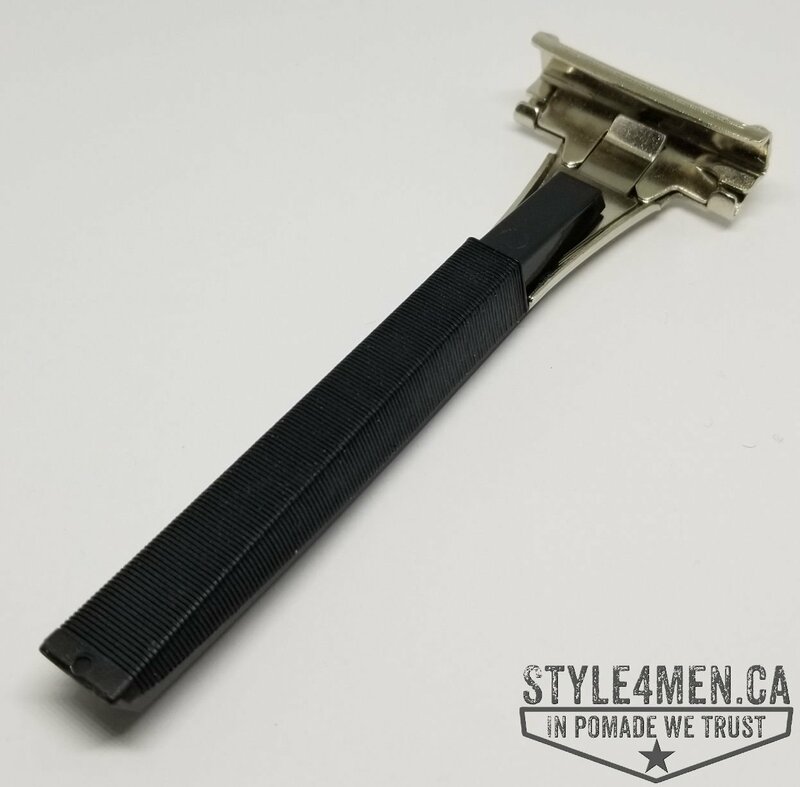 This blade loading magazine is perhaps the biggest innovation surrounding this razor. Just for this element or novelty, my curiosity got the better of me and I wanted one! Be forewarned that the razor does not come with Injector blades and you should plan for this ahead. I got a little set of 7 blades on Amazon.ca for $8 CND. At $1.14 per blade, this is a considerably more expensive solution than the typical double edge blades we have been using in our safety razor which often work out to $0.15 / blade. 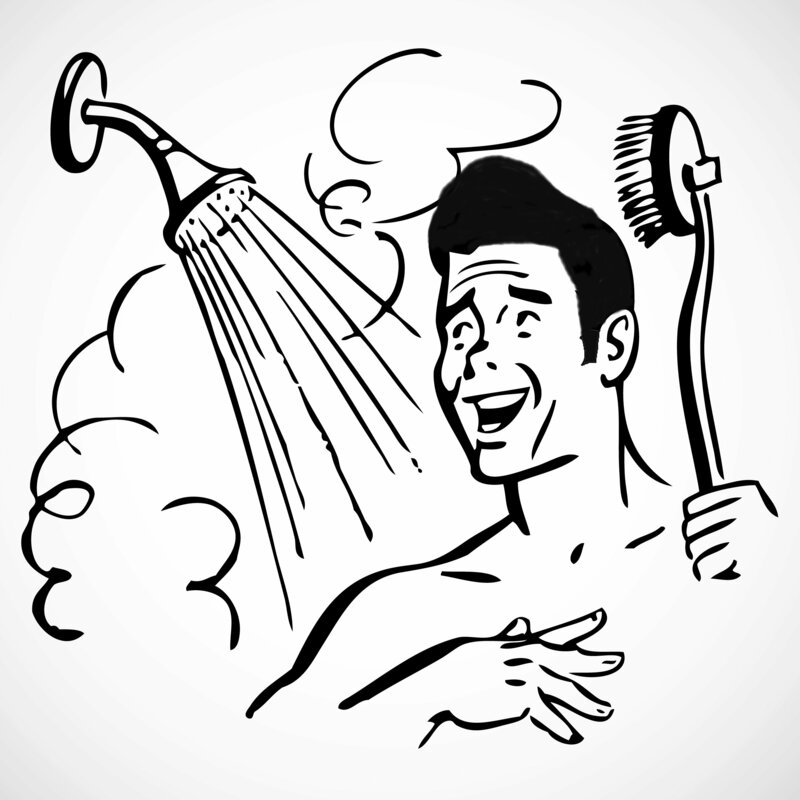 But the claim is that a single blade is the way to go for a great shave on sensitive skin! If you have already been shaving like its 1918 (#shavelikeits1918) you don’t have to be convinced about the veracity of this claim, but you might need to know if an actual single blade is better than using the traditional double edge blades and razors. This is what we are hoping to discover. 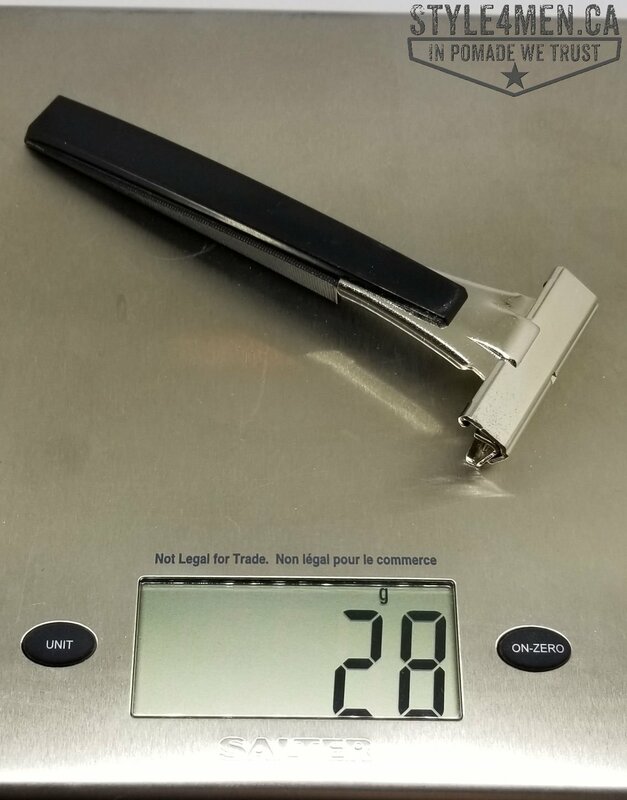 At 28 gr, this is a light weight instrument and somewhat of a different approach to what is found in most double edge safety razors where the heavy the better. The rule there is to have the weight of the razor exercises the pressure against your mug as opposed to applying this pressure yourself at the risk of unpleasanteries. This is definitely something that will be considered when using the Injector. 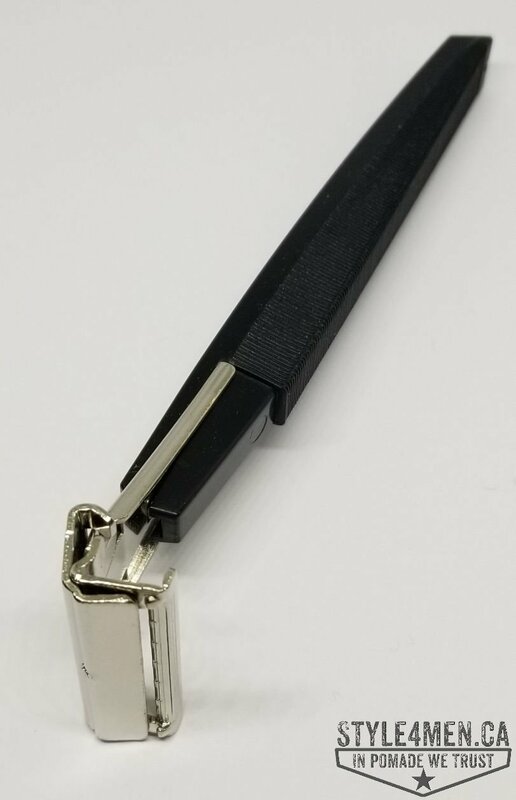 In case the pictures are not perfectly clear, the materials this razor is made out of are plastic for the handle and metal for the razor head. Being a wet shaving enthusiast, trying out a new razor is always a treat. I go into this these tests with both excitement and a little bit of apprehension. Excitement, because I might be trying out my new favorite razor and getting a fantastic shave. But I might also be exposing my precious mug to some serious nastiness. In order to maximize the test results, I will be using some trusted and comfortable products to prepare my mug for this new razor and blade combo. For this shave I am trusting Proraso green. This trio provides an excellent lubrication and moisture locking mechanism. Here we go! This morning was the first test with this razor and blade set. The tasks was 4 days worth of beard growth. I prepped my face with the Proraso Green pre-shave and shaving cream. Contact with the blade was smooth and I was stunned at how this razor just mowed through the beard. Forget about doing multiple passes, this razor was shaving the whole thing off effortlessly. I am a fervent Proraso believer, but will admit that this shaving cream was not the best match for the Injector. The Injector is doing such an impressive initial pass that there is absolutely nothing left behind. No beard or cream! For those few spots where a second pass is warranted (chin and neck) the Proraso cream doesn’t have enough staying power for this razor. Yes, water touch ups or cream reapplication is appropriate but something thicker would be a better match. I am thinking that a pre-shave oil and cream or soap would offer a bit more of a barrier. Now for the recurring question about rinsing the razor out between passes. This razor is built in such a way that there is essentially no place for cream to get stuck in. The blade is trapped in a rather thigh clamp system. The cream is thus rinsed off with a bit of running water and the razor is very easily cleaned off. The Injector blades are also somewhat different from what I have gotten myself accustomed too with doubled edge blades. The Injector blade appears to be twice if not triple the thickness of a typical DE blade. Now granted I am not manipulating the blade and this is just a visual assessment. But regardless, a thicker blade also implies a stronger cutting solution. Usually, I am a 1 shave per blade kinda guy. With the Injector I am thinking that I will be able to get a number of shaves out of it. I will add a comparative picture of these single edge blade alongside a double edge blade when I am through this first blade. I want to point out that this was an incredibly smooth shave. I mean a seriously close shave. Comparable to a very meticulous straight razor shave in an experienced Barber’s chair. Although I want to believe I have a good technique, good blades and proper shaving products, I haven’t achieve this close of a shave with a double edge razor. In the spirit of full disclosure, I also ever so slightly nicked my chin. Basically, nothing that would be visible after a second after shave application. I want to blame that on my being new with this tool and because the shave was so impressive there is serious desire on my part to master it. In closing, the shave closeness that is achieved with this razor is giving me pause. Considering the low price point of both the razor and blades, I am finding myself rethinking a number of things. I was flat out impressed and this puppy gets full stars from us. After buying this razor, I was in contact with the people at Phoenix Shaving. They informed me that they would most likely not be offering this razor when their stock runs out. Looking at their site at the time of writing this review, it was listed as “Sold Out”. I feeling like a tease telling you about something that will now probably be hard to find. But perhaps by telling you about my extremely positive experience with this razor, it might spark up a reason for Phoenix Shaving to produce another run.